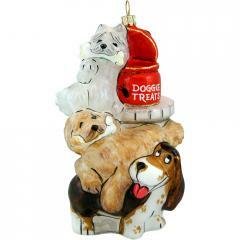 Our Dog Lover Ornaments are perfect for any occasion! They range from a bone to the fun, fun Fetch-A-Holic design. 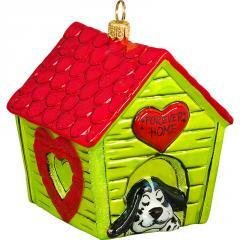 The ornaments were designed as part of the Pet Set Collection that benefits the Morris Animal Foundation. 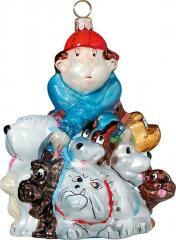 These dog ornaments are all hand blown glass - in fabulous colors and detail. All are European hand blown glass ornaments - hand painted and oh, sooo beautiful! 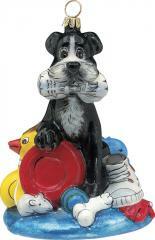 These are very popular ornaments - please order early so you won't be disappointed.